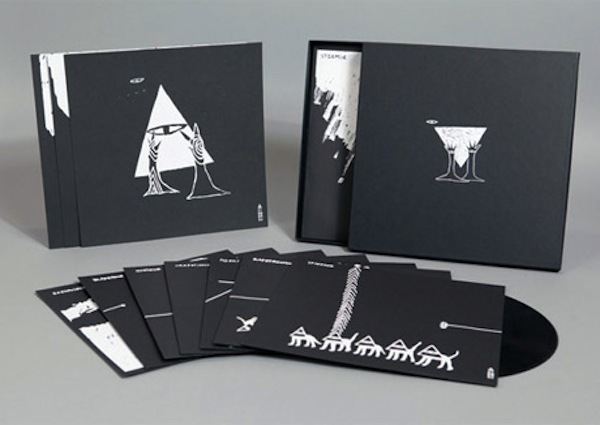 If our Holiday Gift Guide didn’t have enough goodies for you and your loved ones, here’s another great Christmas list idea: a limited-edition, nine-disc box set of Sigur Rós’ latest album, Kveikur. Packaged in a hard box with a lift-off lid, the collection gathers nine separate 45 RPM discs — one for each of Kveikur’s tracks with an instrumental version as its B-side. (FYI: This marks the first time the Icelandic collective has issued an instrumental version of one of their records.) What’s more, the set squeezes in record sleeves and inserts with screen-printed artwork, the latter signed by the band themselves. Given that it’s limited to 1,000 copies, grab ’em while you can here.